4. A boys was asked to find the value of 3/8 of a sum of money. Instead of multiplying the sum by 3/8 he divided it by 3/8 and then his answer exceeded by Rs. 55. Find the correct answer? 5. The sum of three consecutive odd natural numbers each divisible by 3 is 72. What is the largest among them? 7. By which smallest number should 5808 be multiplied so that it becomes a perfect square? 9. Sum of two numbers is 40 and their product is 375. What will be the sum of their reciprocals? 10. The product of the LCM and HCF of two numbers is 24. The difference of the two numbers is 2. Find the numbers ? 11. In a class 3/5 of the students are girls and rest are boys. If 2/9 of the girls and 1/4 of the boys are absent. What part of the total number of students are present? 16. If x is 80% of y, what percent of x is y? 18. In an examination, there were 1000 boys and 800 girls. 60% of the boys and 50% of the girls passed. Find the percent of the candidates failed? 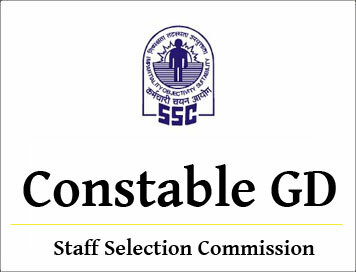 SSC Constable GD Model Exam Paper - 1 "Arithmetic"